This Homemade Salsa Recipe is made in your blender, on your table in 5 MINUTES and tastes better than your favorite restaurant or jar! 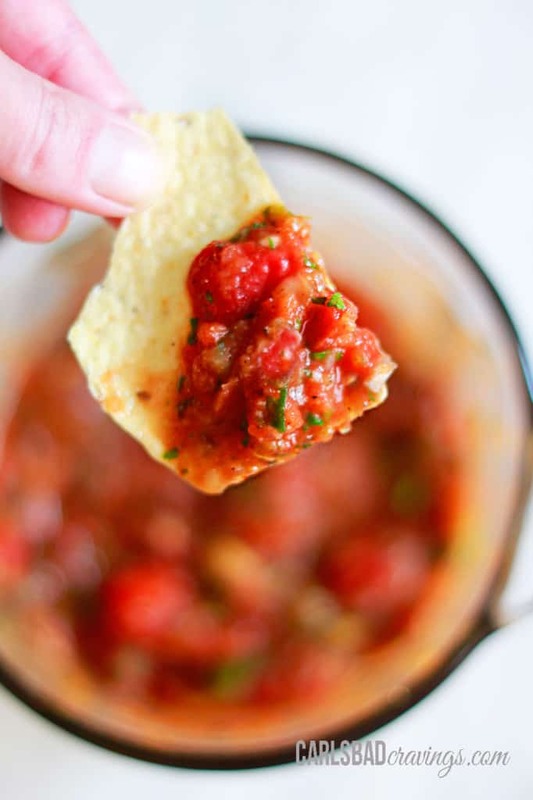 Homemade Salsa Recipe that tastes better than any restaurant or store-bought?!!! YES! You will never want to buy salsa again! This Easy Salsa recipe allows you to customize the heat, the consistency, saves beautifully, can be made ahead of time and the layers of flavor are out of this world! 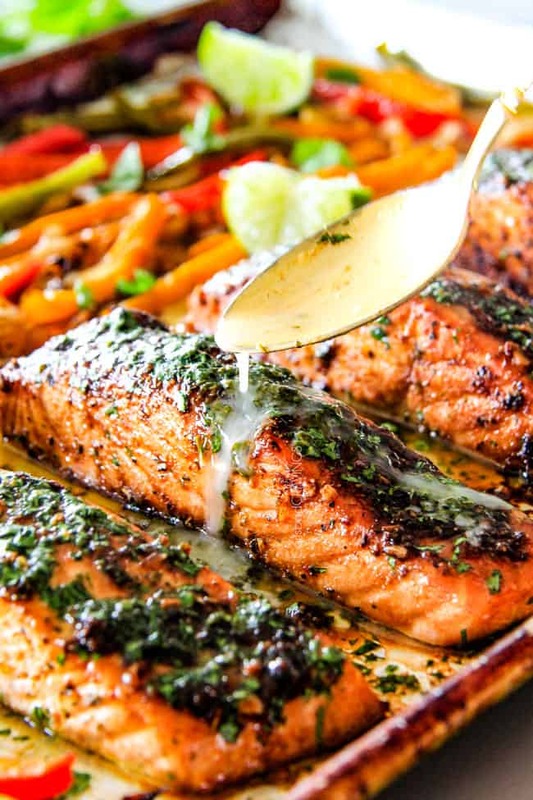 There are a few Mexican staples that everyone needs such as Salsa Verde, Cilantro Lime Rice, Restaurant Style Mexican Rice, Pico de Gallo, Guacamole and Restaurant Style Salsa. Everybody needs the best salsa recipe to munch on or to smother all their favorite Mexican food in – and this is it! Living in Carlsbad, (north San Diego), where Mexican restaurants outnumber any other type of food 20-1, I have tasted a lot of salsas. 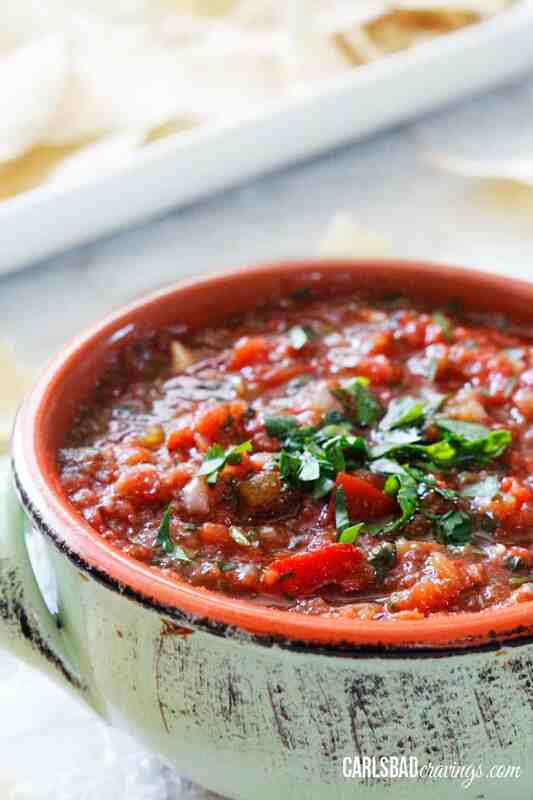 And this homemade salsa recipe, my friends, is as good as the best I’ve ever tasted! 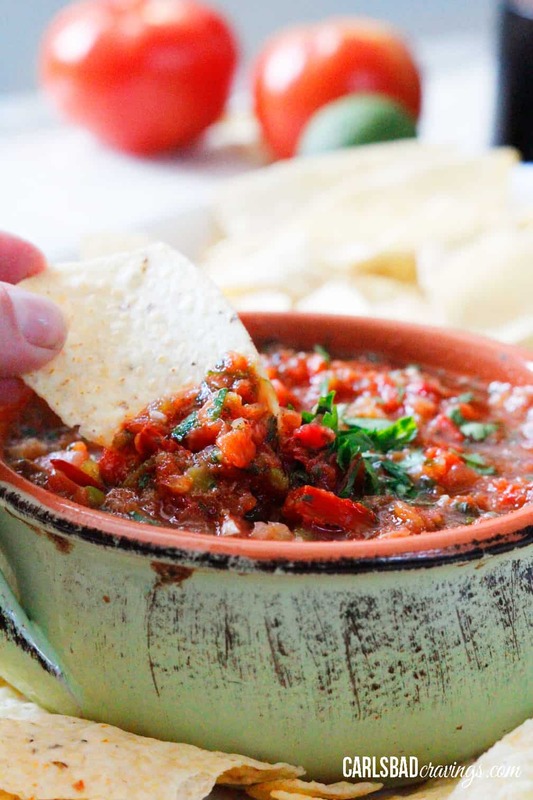 This easy Salsa Recipe is the perfect appetizer for you to bring to your 4th of July festivities because after all, salsa has become quite American in a way…Because what American doesn’t LOVE salsa? and eat it at every picnic, party, sports gathering, etc? It also makes everything better from Carne Asada Fries to Barbacoa Beef Bowls, to Baja Fish Tacos, Chicken Fajitas, Steak Fajitas and on and on. And now, I gift you with being able to make and therefore EAT your very own Homemade Salsa in 5 minutes! 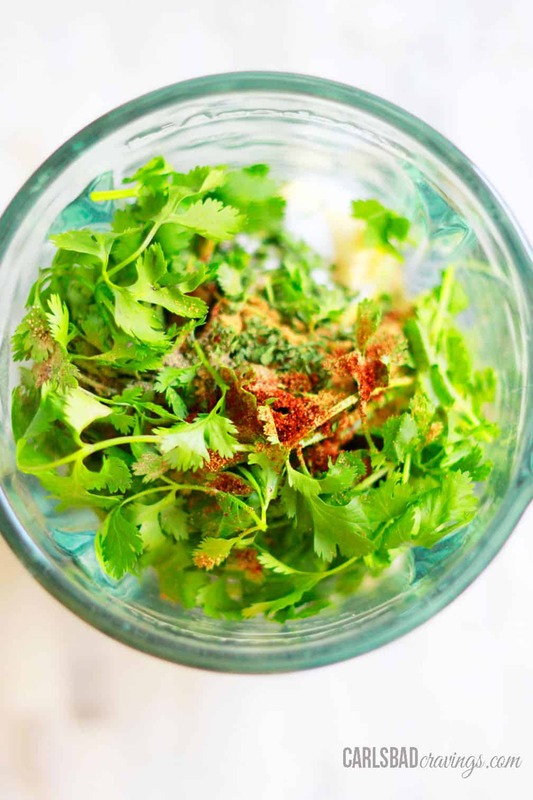 Add garlic, fresh cilantro, onion, jalapeno, ground cumin, chili powder, salt, pepper, oregano and lime juice to your blender. 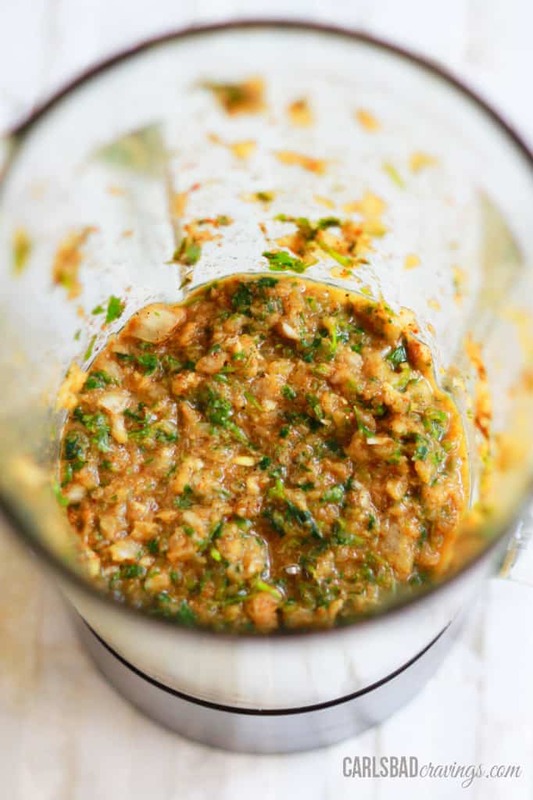 We want this easy salsa full of aromatics and seasoning so it doesn’t just taste like tomatoes! 2. Pulse these ingredients until chopped. 3. Add your canned fire roasted tomatoes and green chilies. We use canned fire roasted tomatoes which are a huge shortcut from roasting your own tomatoes and much more flavorful than fresh tomatoes. Fire roasted tomatoes have been gently roasted over an open fire for a great smoky, flavor which enhances the sweetness and mellows the acidity. 4. Pulse a few more times to reach desired consistency. And that’s it! 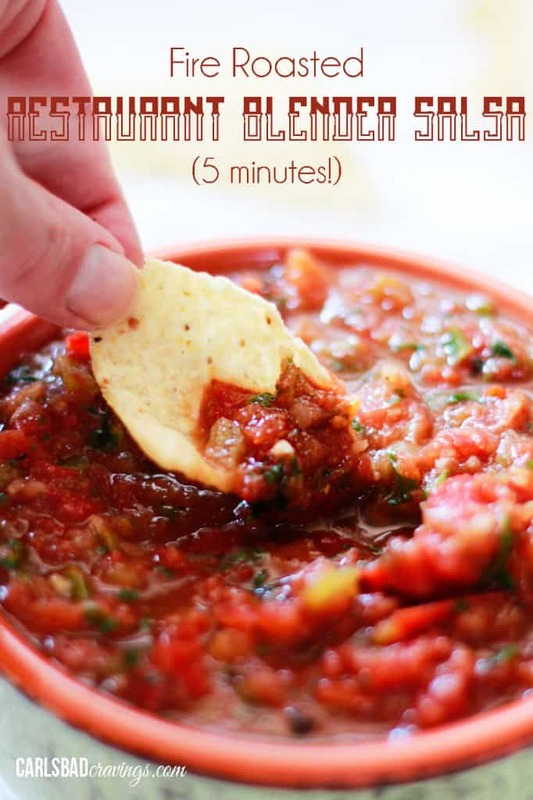 In 5 minutes you have the tastiest restaurant quality homemade salsa recipe in town! And believe me, I know my salsas! What I especially love about this Homemade Salsa Recipe is you can completely control the consistency! For a spicier salsa, add some or all of the jalapeno seeds – stirring in a little at a time until it reaches your desired heat level. There is no right or wrong with this easy salsa. 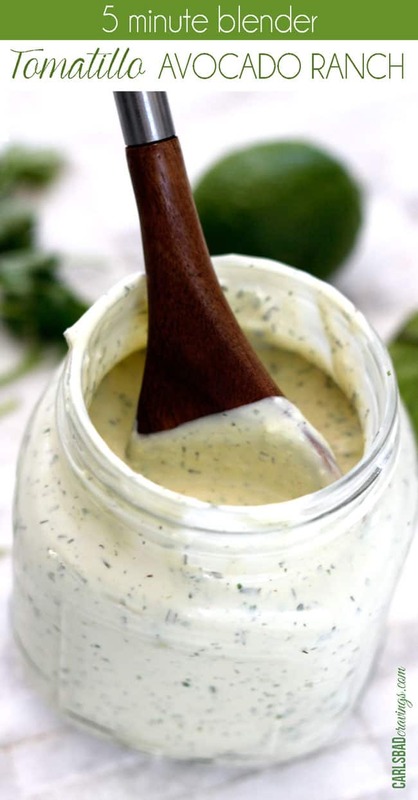 I recommend trying this Homemade Salsa Recipe as written and then you can customize it for ever after until it is absolutely perfect FOR YOU! I hope you enjoy my 5 Minute Easy Salsa Recipe that will completely transport you to your favorite Mexican restaurant – that is, if your favorite Mexican restaurant even serves salsa this good! This Homemade Salsa Recipe is made in your blender, on your table in 5 MINUTES and tastes better than your favorite restaurant or jar! This Easy Salsa recipe allows you to customize the heat, the consistency, saves beautifully, can be made ahead of time and the layers of flavor are out of this world! 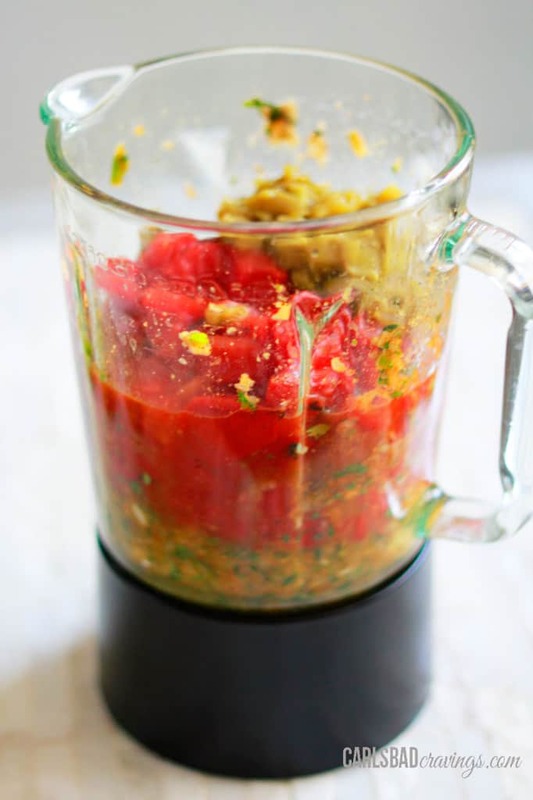 Add all of the ingredients EXCEPT the tomatoes and green chilies to the blender (reserving jalapeno seeds). Blend until evenly chopped, scraping down the sides as needed. Add tomatoes and chilies and process until desired consistency is reached. Taste and add additional, salt and pepper if desired. For more heat, add in desired amount of jalapeno seeds. Refrigerate for up to 2 weeks. May also be frozen. For a spicier salsa, add some or all of the jalapeno seeds - stirring in a little at a time until it reaches your desired heat level. 5 minute spicy salsa.. i like that.. I am a dipper, so this works good for me. LOL! I am a dipper too! Everything is better dipped! I love restaurant style salsa but for some reason never make it at home. But this one being only 5 min., I’m sure I can handle that. Thanks for sharing! I was the same way forever Melissa! Once i figured out I could make salsa in a blender, I was sold! I’m excited for you to try this! So great for parties! And for a last minute idea to bring to parties too! Thanks Paula! What perfect looking salsa, looks like restaurant style. Yum. Thanks so much Janette! Its a keeper! A good salsa is very hard to find, let a lone make. Your recipe shall be tested! Great easy recipe Jennifer, I am amazed by your skills! ((drooling)) this look so good! Love the sound and look of this salsa; very nicely done! Thanks so much Dan! Enjoy! Delish! Looks just like at our favorite Mexican Food Restaurant! Thanks Serena! No need to go to your favorite restaurant anymore for salsa :)! This salsa looks amazing! Yum! Hi Kim, that’s so great to be able to use your own tomatoes! Fire roasting tomatoes brings out their natural sweetness and adds a little smokiness, so that’s the subtle flavor you would be missing but you could always fire roast your own tomatoes on your grill (you should be able to google how). Or you could add a little liquid smoke and may need a dash of sugar. As far as how many, you would want 29 oz. worth, which is a little over 3 1/2 cups. Also, you would want to add some water to your preferred consistency because the cans of tomatoes have water. Hope this helps and I can’t wait to hear how it turns out! Great, thanks for the input. I will look up the fire roasting of tomatoes. But if that does not work out I do have liquid smoke. I made this salsa about an hour ago, and let just say that I don’t think it will last a week. 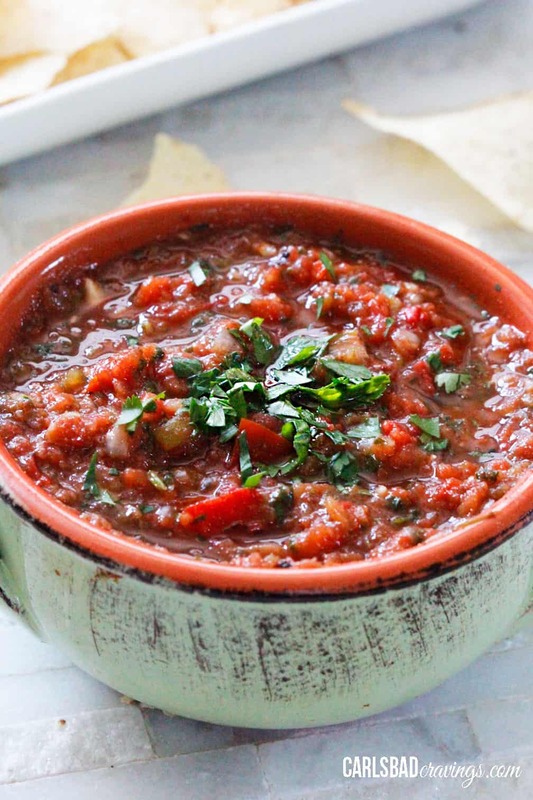 I’ve been obsessed with salsa lately, and this homemade one is better than any that I’ve had! So good!!! Made this over the weekend it was soooo good. So that is 5 recipes I have made from this site and they were all excellent. The only suggestion I could make for this site is create an app. Lol. Seriously all of your recipes are very good. I would love to see an app or cookbook. I am making the sticky ginger lemon chicken for supper. I thought the chicken was suppose to be marinated in buttermilk and had already poured it out so it will be the ginger chicken that has been marinated. Thanks again for the work you put in this site. Your site is becoming to my first stop when I am looking for a recipe. You are so sweet Judy, thank you for all your kind words! I love to hear that you are enjoying my recipes as they are like my babies as I put so much thought and effort into each one, so THANK YOU! I might do an E-book sometime in the future but it will be a ways out as it is quite a project to tackle 🙂 I hope you continue to find more recipes to love here. I’ve been making Pioneer Woman’s restaurant-style salsa religiously for the past few years and it’s always a huge hit. When I saw this recipe though, I knew I had to try it. I’m so glad I did. It is so, SO good. I think this is going to be my new go-to salsa! I love this recipe! Along side of the salsa I smash up an avocado and add a couple of spoonfuls of salsa to it for the perfect guacamole, YUM! Mmmmm! I am going to have to try your guacamole idea – sounds divine! 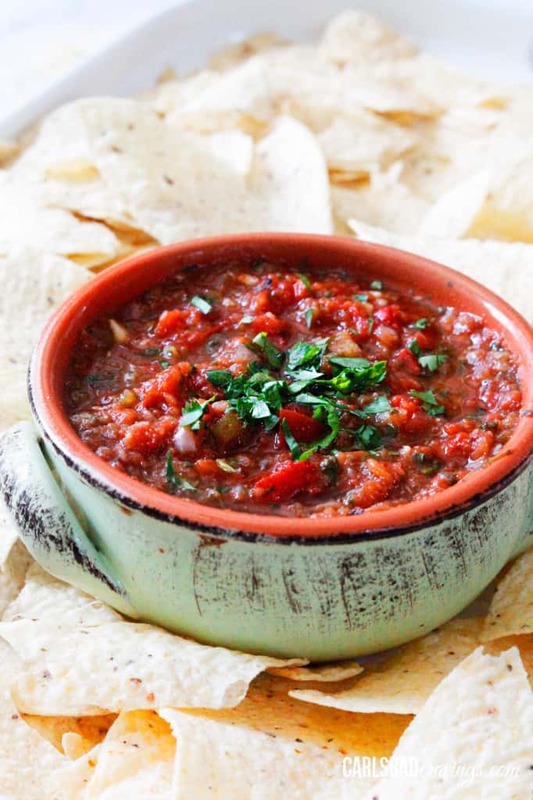 Thanks Jenn, I’m so happy you love this salsa recipe!